News | Dr. Downspout SLC | Gutter Services, Inc. This entry was posted in Uncategorized on January 27, 2016 by Jeremiah Kavanaugh. This is part one of our four part series on different types of gutter protection. In this post we are going to focus on Gutter Screens. There are dozens of different types of screens. Some are plastic, some are metal, some are flat, some are domed, some slide under the shingles, some rest on top of them. They all work essentially the same – Keep large debris out, let small debris in. These screens are usually inexpensive and readily available. If your goal is simply to keep apples, large sticks, or other large debris out of your gutter, then they may be a good choice. I jest; they are a poor choice under any circumstance. Plastic gutter screens are as terrible as they are cheap. 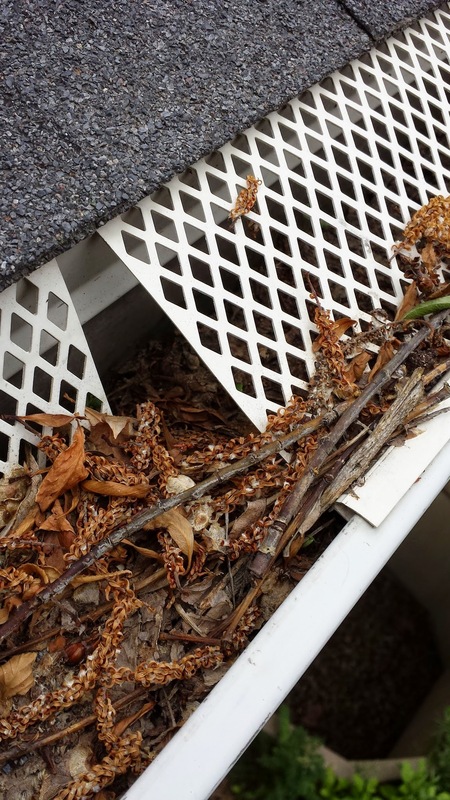 Over time, debris collapse the screens into the gutter creating choke points that rapidly clogs gutters. They get brittle with age. Once plastic screens are deformed, it can be very difficult or impossible to mount them on your gutters. The often break in the course of cleaning gutters and have to be completely removed and disposed of. Metal gutter screens have a longer life-span than plastic screens, but are not considered a permanent solution. 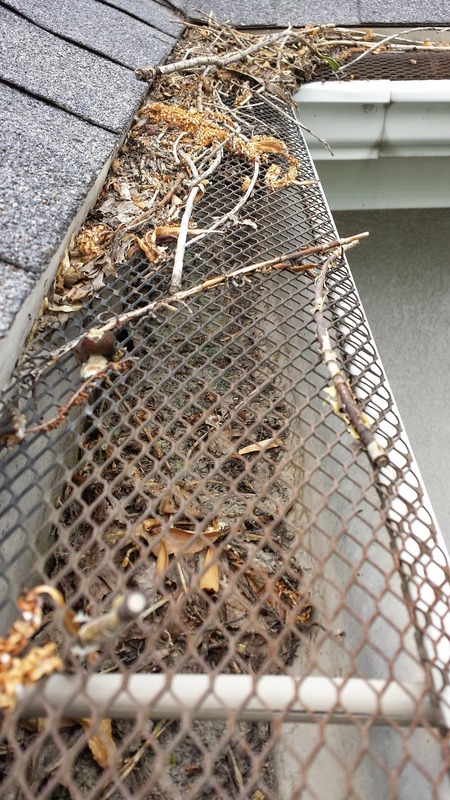 These screens still let a tremendous amount of debris into the gutter and need to be cleaned on a regular basis. The screens need to be removed and reinstalled at each service which increases service cost. The metal is usually quite soft and the screens deform after a few service cycles. There are a few companies that sell a “premium” gutter screen. These premium screens are thicker and tougher. They are often attached with screws or a very tight joint against the front lip of the gutter. They need to be serviced just as often as other gutter screens, but the difficulty of removing and reinstalling really boosts the cleaning price. In summary, gutter screens may reduce how often a gutter needs to be serviced. On the other hand, gutter screens increase the cost of a cleaning service. An annual cleaning is still the minimum necessity. Many of our customers with screens still call us two times a year. This entry was posted in Uncategorized on October 1, 2015 by Kendall Weaver.